Like any other produce, certain varieties of coffee are only harvested at certain times of the year. Although green coffee lasts a long time, it’s still best to roast the newest crop available. We’ll be back this weekend at Sienna Plantation with freshly roasted beans and gift packages just in time for the holidays. Hope to see you folks there! 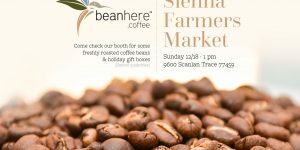 Come check us out and grab a bag of some freshly roasted coffee beans at the first ever Sienna Plantation Farmer’s Market! Being a small batch roaster, we only roast enough to fulfill orders (and our own needs!). 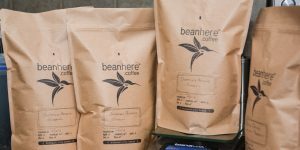 If you wish to order some freshly roasted beans, please don't hesitate to get in touch with us.